BEACHSIDE RENTAL - WALK-OUT TO BEACH.Relax and enjoy the Florida lifestyle with tropical landscaping and gulf views. 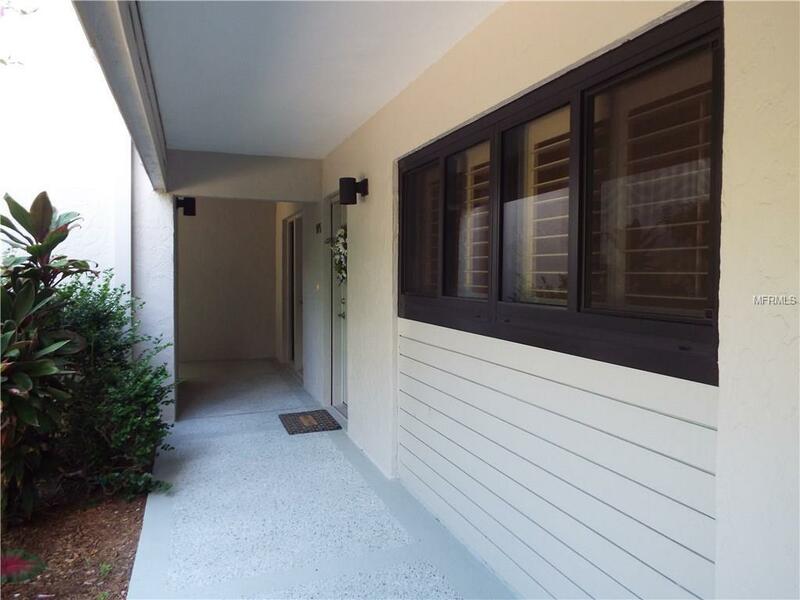 Just steps to the beach from this turnkey furnished and updated 2-bedroom, 2-bath condo. 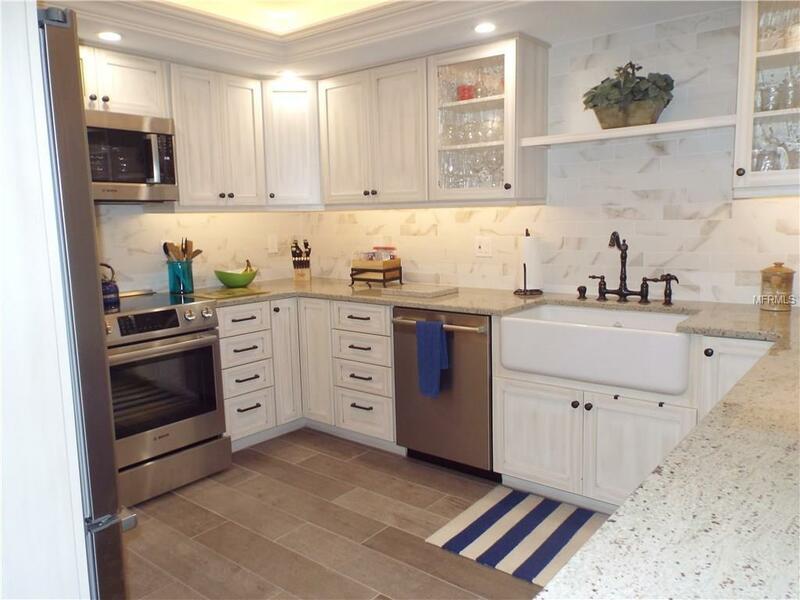 Upgraded kitchen and bathrooms with granite counters, washer/dryer, and tile floors throughout. Interior Amenities - Totally renovated 2-bedroom, 2-bath condo with beautiful views of the Gulf of Mexico. This is a very quiet and private condo with beautiful lush landscaping. The rooms are spacious and very comfortably decorated. King-size bed in the master bedroom with en-suite dressing area and walk-in shower. Two Queens in the 2nd bedroom. Condo is equipped with an extra twin bed for your convenience. 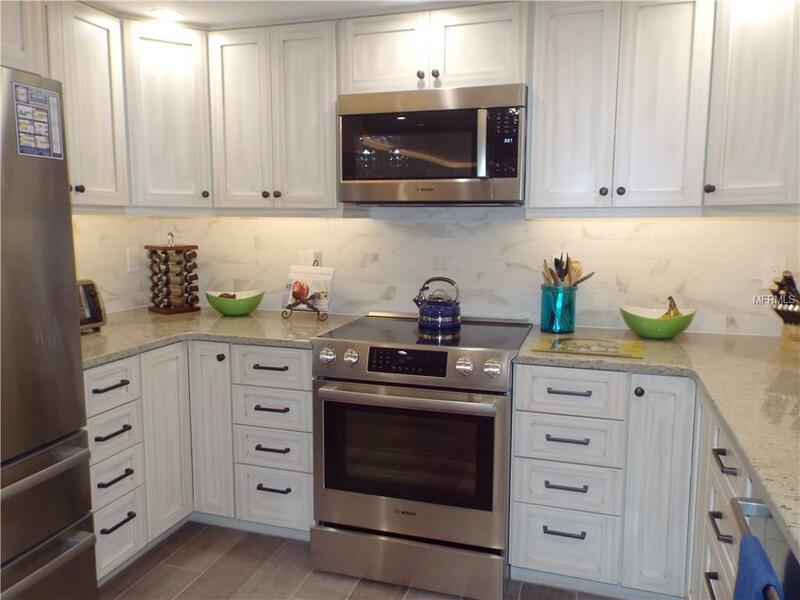 Kitchen and bathroom are upgraded with granite countertops and stainless steel appliances. Washer/dryer in condo. Eat-in kitchen and dining room table with well-outfitted kitchen for those who love to cook.Exterior Amenities - Private outside patio deck overlooks natural foilage and beach. 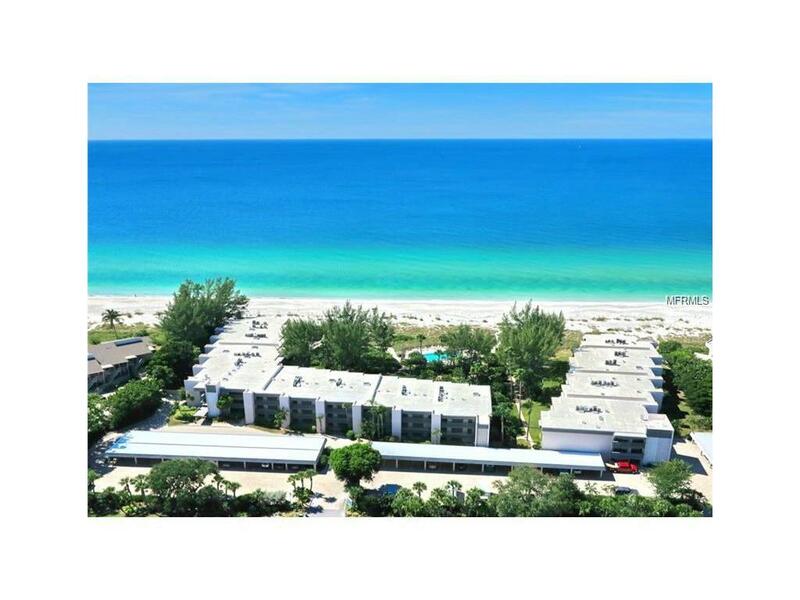 Gulfside condo with pool and spa adjacent to beach area, gorgeous sunset views, covered carport and fitness center. Rates shown are base rents that include utilities. Additional fees include departure cleaning fees, Internet fees if not provided by Owner, sales/resort taxes and pet fees if applicable. Note that rates are subject to change without notice and reservations are not guaranteed until initial reservation deposit is received.